cially later in the finished beers. 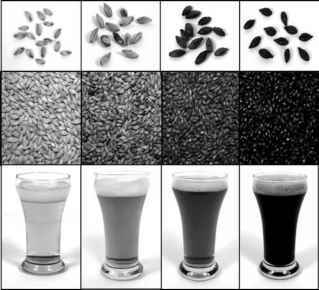 Dark beers (e.g., stouts, porters) use darker, more flavorful malt, whereas paler beers use lightly-colored, less roasted malt (Figure 9-4). The flavors contributed by dark malts are often described as coffee- or chocolate-like, with toasty nutty notes. It would be a mistake, however, to conclude that darker beers, because of their stronger, more pronounced flavor and color, contain more ethanol than pale-colored beers. In fact, the darker the malt, the less amy-lolytic (or diastatic) activity is present. Ultimately, less sugar substrates are generated from starch, and less ethanol can theoretically be produced from the mashes (see below) made using dark malts. For this reason, stouts and other dark beers are inevitably made with a combination of dark, highly-roasted malt, to provide color and flavor, and lighter base malts, to supply enzymatic activity. Figure 9-4. Types of malt used in brewing. Shown (from left to right) are four types of malt, ranging from light to dark. These malts are used to make beers with similar colors. 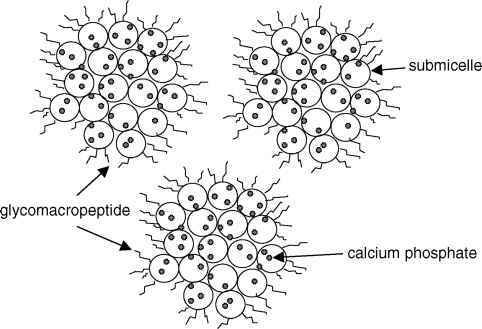 Figure courtesy of Rich Chapin (Empyrean Ales, Lincoln, Nebraska) and John Rupnow (University of Nebraska).